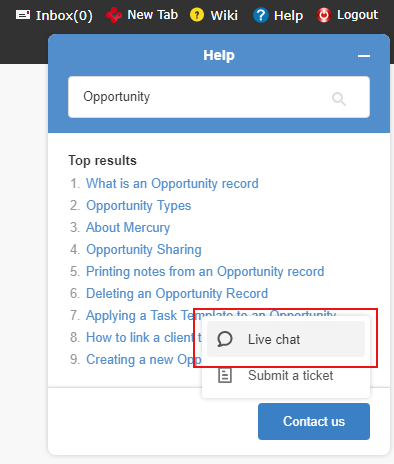 If you want to contact the helpdesk, the best way to do this is to use Connective Chat within Chat operating hours (9:30am - 4pm AEST) or raise a Helpdesk ticket outside of operating hours. 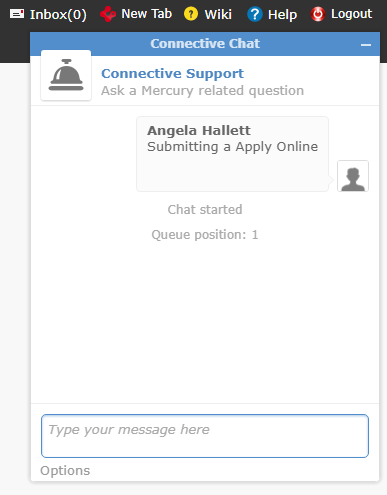 You can do all of this without leaving Mercury! 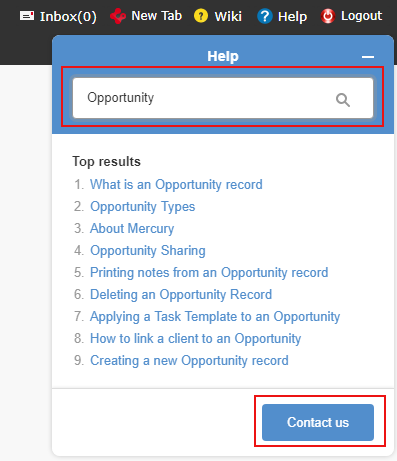 Type in a keyword that relates to the question you have. 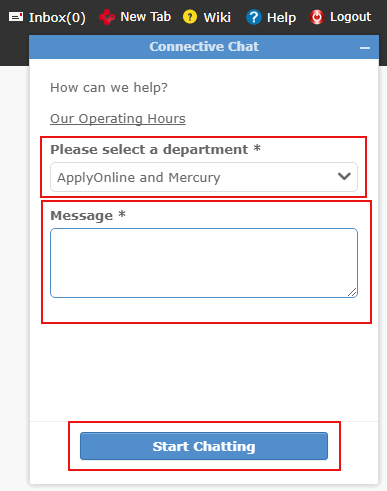 From the drop-down select a department.